At NAMM 2017, Blue Microphones announced three newly revamped microphone models as part of their Essential Series, a collection comprised of their best selling condensers featuring updated aesthetics, more sonic flavor, and some key added features. 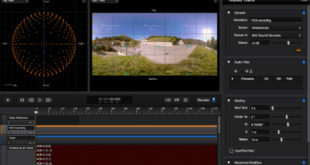 Two of the three – the Bluebird SL and Spark SL – are reviewed here. 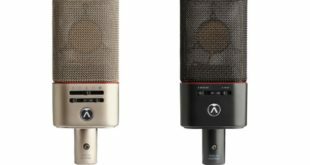 The larger Bluebird SL and smaller Spark SL are remarkably priced cardioid condensers available for £299 and £180, respectively. Both provide a -20 dB pad and a 100 Hz high-pass filter (12 dB per octave), which increases the flexibility of both models significantly. Both provide unique tonalitiesmore on that later – plus the lovely design and packaging elements we’ve come to expect from Blue as well as neat perks such as the same yet sufficient, well-designed shock mount and stained wooden storage case per offering. 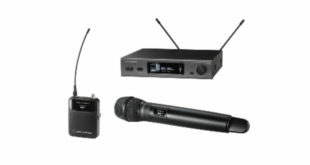 Though it has been years now since Blue first built their striking and groundbreaking designs in the Eastern European republic of Latvia, the company has retained its spirit of innovation and dedication to value and quality control in today’s increasingly competitive microphone marketplace chock-full of largely internationally sourced parts and build-outs. Blue assures its Essential Series customers of thorough quality control with a three-part inspection card – detailing frequency response, noise specification, and fit/finish standards met – in every package. 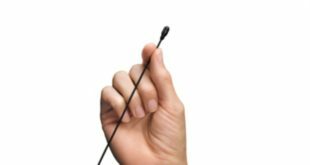 Essential Series microphones come with a two-year warranty. The Bluebird SL features a 138 dB maximum SPL, allowing it to handle a wide range of acoustic and electric sound sources, as well as a bumpy/sculpted 20 Hz to 20 kHz frequency response. The latter is relatively flat from down low until between 2 kHz and 10 kHz, where response jumps around nearly up to 10 dB to eventually taper off near 20 kHz; as such, the Bluebird is a somewhat-forward and seemingly detailed condenser that emphasizes vocal range transients, conveys openness and clarity, and is ultimately usable on almost any featured sound source within multitrack recording. In use, melody instruments – whether vocals, guitars, woodwinds or acoustic strings – seemed to benefit by the Bluebird SL’s upper-mid emphasis, perhaps sounding a bit “pre-EQ’ed,” though tasteful and never harsh. Meanwhile, the Spark SL also features a sculpted 20 Hz to 20 kHz frequency response and slightly lower maximum SPL of 136 dB. Its frequency response “ridgeline” closely resembles the Bluebird, but provides a different overall tonality; to my ears, it is perhaps a bit more “frequency flat” overall, yet it is still flavorful while providing a full midrange sound. As it’s a bit smaller than the Bluebird (not to mention less expensive), I felt comfortable placing it in in close-miked applications on drum kit; with the -20 dB pad, it was a winner. On large, tonally complex cymbals such as medium-weight rides, the Spark SL was a clear winner. 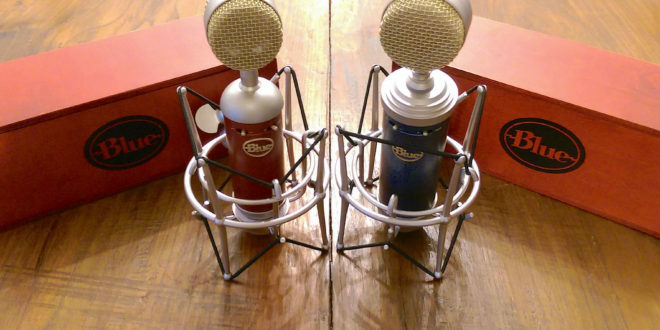 Perfectly suited for vocal or solo instrument and track-stacking multi-track applications, the bottle-style Bluebird SL and Spark SL are just about as affordable as they can be while offering careful build quality, features and guaranteed performance by Blue, a company that has now been serving (and challenging the norms of) the recording industry for many years. At £299, the Bluebird SL is an all-around, very useful workhorse large diaphragm condenser; at £199, the Spark SL is a bargain – one you won’t be so afraid to place in compromising (read: high SPL or relatively dangerous) positions.